STEM City was founded on August 6, 2012 by the Flagstaff STEM Consortium. Led by the Northern Arizona Leadership Alliance (formerly Flagstaff Forty), key business leaders and educational leaders from Northern Arizona University, Coconino Community College, Flagstaff Unified School District, and local charter schools, convened a summit at Camp Colton to establish STEM City. The Flagstaff City Council proclaimed Flagstaff America's 1st STEM Community on August 7, 2012. 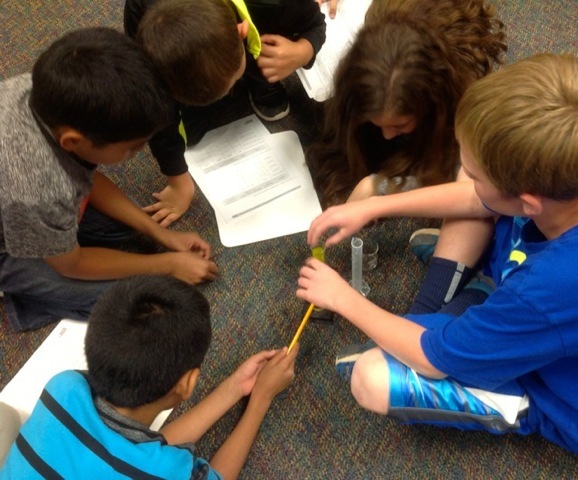 Science Foundation Arizona, with funding from the Arizona Community Foundation, provided funding for a part-time STEM Coordinator to build connections between businesses and schools with the goal of increasing student knowledge of, and interest in, STEM content and professions. STEM City Center, originally funded for three years by Northern Arizona University, and housed at the Northern Arizona Center for Entrepreneurship and Technology, was opened in June of 2013. Further financial contributions from the Arizona Community Foundation of Flagstaff and the City of Flagstaff through the Flagstaff Arts Council, the NARBHA Institute, and the Northern Arizona Leadership Alliance, have helped build the capacity of STEM City. STEM City became a 501(c)3 on March 21, 2016, and is a tax-exempt organization.